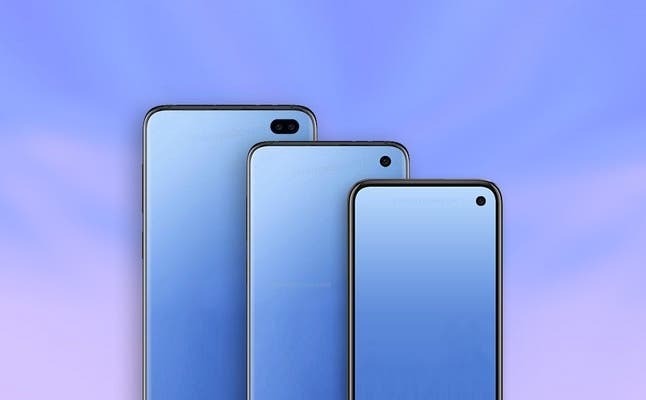 It is now only a month until February 20th, when the new Samsung Galaxy S10 smartphone family made up of at least three models, will finally be unveiled in San Francisco. Although there seems to be little room left for surprises, @evleaks thinks there may be room for more images of the three smartphones. Here is the image you see on the cover, with Samsung Galaxy S10 Lite, Galaxy S10 and Galaxy S10 Plus enclosed in transparent protective covers, which still leave room for some considerations. 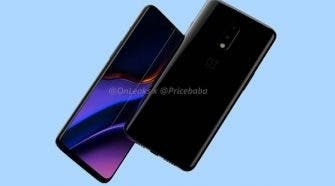 The front cameras are visible, single on the first two models and double on the Plus version, but also the on/off button is larger on the Lite version, it should integrate the fingerprint reader. For the rest we have the confirmation of the dual rear camera on the base model and the triple camera on the other two variants. 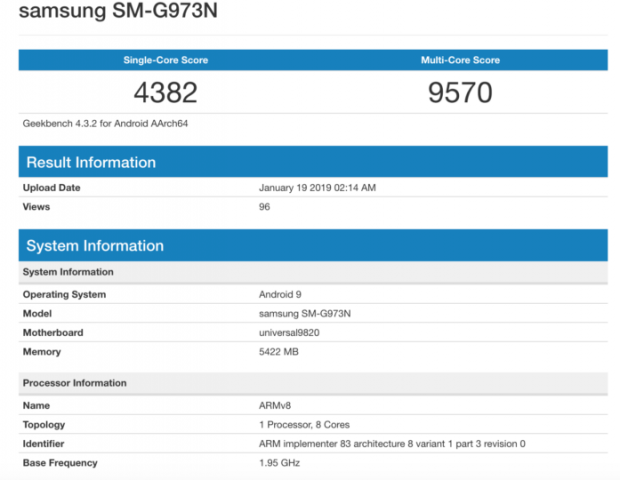 The Samsung Galaxy S10 Lite, identified by the model number SM-G973N, would have visited Geekbench revealing the presence of 6 GB of RAM, which should represent the minimum cut and be flanked by 128 GB of internal memory. It seems certain also the presence of a variant with 8 GB of RAM and 512 GB of internal memory. We close with new details regarding Samsung Galaxy S10 Plus that should also be proposed in a variant with ceramic back cover. According to rumors from China the particular cover would be used exclusively in the top version, which according to the rumors circulated in the past should have 12 GB of RAM and 1 TB of internal memory.